Vista Vapors of Minnesota USA sent me a few of their extensive range of flavours to try out, giving me the option to choose my preferred flavours and PG/VG ratio. Also, whether I required a boost to be added to them or not. (Boost means adding additional flavourings to your bottle of e-juice) In a variety of categories which included Candy, Dessert, Drinks, Fruit, Menthol, Mint, Specials, Tobacco, Other, or even mix your personal choice of flavours. And if that isn’t enough you can even vape your Birthday cake too! “Ever so slightly spoilt for choice” with over four million different flavour combinations I opted for fruit and coffee flavoured juices, plus the Vanilla Bourbon, which sounded like an exquisite pairing with a 20% Boost and a 50-50 PG/VG balance to get me started. Also, Vista has over 160 pre-made selections for you to choose from as well. I have reviewed these three juices over a period of one week on two different manufacturers VV/VW devices as I normally do in these reviews. These include the Innokin iTaste SVD 2.0, along with the eVic Supreme 30w. I have also used a combination of three different tanks. The new Kangertech RMT (RBA) & Aerotank Mega, plus the Kayfun Lite, in varying combinations, using the ranges suggested in the chart supplied here for added consistency. I have also vaped the supplied E-liquids at 25w using the Kangertech RMT (RBA) in combination with the eVic Supreme. I believe that this will give both the retail supplier and consumer a fair and accurate assessment of the flavour and vapour production, as well as the throat hit this brand produces, which is important when considering stocking this range or purchasing them for your personal vaping pleasure. I also steeped them for two weeks before reviewing them, allowing the full flavour to come to the fore. The E-juices arrived in two Pliable Plastic bottles and one glass bottle (30ml Cumulus) with a glass pipette for dispensing the liquid. Labelling on both the plastic bottles containing the Caramel Coffee & the Bourbon Vanilla were very clearly marked including the makeup of each juice and a health warning without the need for a magnifying glass to read them. Other manufacturers of E-Liquids could take note from this design and make it an industry standard in my opinion. (Best I’ve seen so far) Cumulus in the glass bottle was also clearly labelled, but the health warning text could be made just that little bit larger along the side. All bottles are shrink wrapped as well. Nicotine strengths range from 00mg 03mg 06mg 12mg 18mg and 24mg in a choice of four different sizes. 17ml 32ml 52ml and 102ml. Extra flavour (Boost) can also be added in 10% 20% 30% 40% & 50% increments. Prices start from as little as $4.99 for the 17ml with a gradual increase depending on both size and type. This is a well-presented juice and the combination works well together. They are overly heavy as you might have expected either. The 50/50 balance gives a good representation of the combined flavours without suffering too much loss of vapour production which would suggest to me they are not cutting any corners by using cheap ingredients to produce them. From their Select Range, Cumulus is a very nicely blended juice that reminds me of a refreshing fruit punch. Slightly stronger notes of both Coconut and pineapple come to the fore when you first start to vape this juice, with more subtle and muted flowery notes sitting just behind them. The aroma produced by this flavour is also very pleasant, and the vapour production is superb as well. Especially with the RBA setup I have used due to the higher VG concentration in its makeup. The liquid itself is quite thick so I found that vaping this at around 10.5w on a 1.1ohm build produced the desired effect of both flavour and vapour to my personal liking without being overly warm. You could call this a very refreshing all day vape as it is not in any way overpowering at all, and very well balanced. It is what it says on the bottle with a 20% boost of Vanilla sitting on top of an espresso coffee. Coffee flavours giving a definite presence of caffeine without being bitter is hard to get right, but Vista has done a magnificent job with this one. Personally, I would make the 20% Caramel a standard as it is just about the right balance leaving a distinct taste of the coffee sitting behind the slightly sweeter Caramel note. If you’re going to try this juice, please bear in mind the makeup sent to me for review. Another nice personal touch is the Label, which states on the reverse side Custom Made For: and your name. Vista Vapors shows that you do not need to spend a fortune to acquire an E-juice to your own personal tastes and of good quality. In fact, you are going to find it hard to find another manufacturer that offers the consumer such a wide variety of choice in, flavour and makeup, allowing you to customise not only the flavours but the PG/VG ratio as well as nicotine strength and size. Labelling was excellent and as I have said the best I have personally reviewed so far, allowing for easy reading of the contents inside. Throat hit was what I had expected it to be for my personal vaping requirements (12mg) and one in a 3mg that was great for the higher wattages saving my throat a great deal of discomfort. A point worth remembering! The taste is very clear indeed with each of the flavours being clearly represented and readily distinguishable. Also, remember with this brand you adjust the balance to suit your own personal requirements that should make for the near perfect vaping experience. Likewise, the vapour is plentiful, but if you require more for clouds opt for a higher VG concentration or a higher PG if its flavour that you require most. Aroma is pleasing and a subtle taste of each flavour remains in the palate particularly with the fruit flavoured Cumulus. The Vista Vapors website is easy to navigate and my dealings with them have been at all times both helpful and very professional. So be sure to give them a try and don’t think for one moment that the price reflects the quality of the juice or service in any way. As it would appear that the business model behind this company is based on volume allowing everyone to win and save money at the same time. 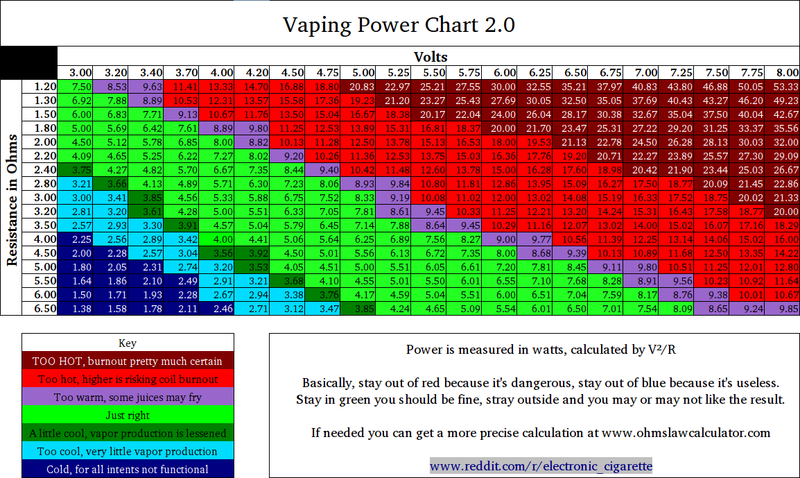 Another very good reason I started to vape! For further details on this range, please use the contact information provided below. peaked my interest. I will book mark your website and keep checking for new information about once a week. Such a nice site! Good reviews.